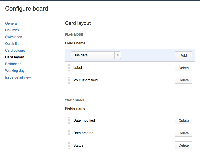 [JSWSERVER-3922] As a user, I would like to configure the cards displayed in the rapid board - Create and track feature requests for Atlassian products. Thank you for following this issue. We will first address requests which require additional fields to be shown on the cards. I'll outline the solution with some examples of the designs. Card Layout will allow the configuration per board of up to 3 additional fields (custom and/or system) to be added to the cards in each mode (plan and work). Independent selections for plan mode and work mode will allow for better customisation and needs due to the different contexts required in each mode. Additional fields will appear on the card below the normal fields. There are no labels for the fields, hovering over the value will show the label/key and its full value, helpful in case of truncation with long values or when displayed in narrow spaces. As today, when a combination of narrow viewport width or having multiple panels open (detail view, epic panel, versions panel) the cards are responsive and change to a different layout. Here we see the avatar, estimate statistic and any epic or version lozenge move to a second line. This allows more of the summary to be read. The additional fields move to a third line. Note this only happens for narrow widths and is designed to best display the fields on the cards. Closing additional panels or widening the viewport would see the card move to the wider design which uses 2 lines. Additional fields will appear on the card below the normal fields. 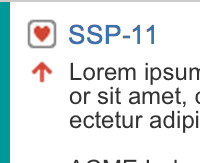 Hovering over the value will show the label/key and its full value, helpful in case of truncation with long values or when displayed in narrow spaces. As today, when a combination of narrow viewport width or multiple columns or the detail view being open, the cards are responsive and change to a different layout. Here we see the avatar and font reduce in size. This allows more of the summary to be read. Note this only happens for narrow widths and is designed to best display the fields on the cards. 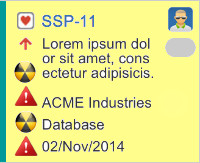 Closing the detail view or widening the viewport would see the card move to the wider design. We are prioritising getting the additional fields onto the cards in a uniform design as shown above. As can be seen in the designs above the additional fields will be rendered as text fields. We will then track any requests and feedback for fields to be displayed in a different format separately i.e. showing a label in a label ‘capsule’. We expect that this will fulfil the majority of requests on this issue. This work is now done and so this issue has been resolved. Requests that are not fulfilled by this solution will be tracked elsewhere in separate issues so we can understand better the use-cases and needs for each of them. This will be addressed shortly, the design can be seen in the examples above. Until this is addressed a workaround will be to add the assignee name as one of the custom fields to the card as described above. If you do not see your requirements listed in one of the stories above, or in an existing story in this project, please add a comment below. Your feedback on these issues is welcomed. It would be nice to be able to modify the fields that are displayed in the cards on the RapidBoard, just like you can for the Planing and Task boards. JSWSERVER-8773 As a user of Greenhopper I will see aggregated remaining estimates in Stories on my Work board. JSWSERVER-9693 As a user of Jira OnDemand / Greenhopper, I'd like to see Business Value in plan mode. JSWSERVER-10923 As a user, I would like to be able to customize what information appears in the cards in the Agile (Kanban) board in Work mode. JSWSERVER-7879 As a GH User, it would be great to show assignee's name in Rapid Board. JSWSERVER-9699 As a RB user I want to see the Epic listed in the Story Swimlane.